Here’s a casual hooded jacket that is so comfortable its sure to be a favorite. 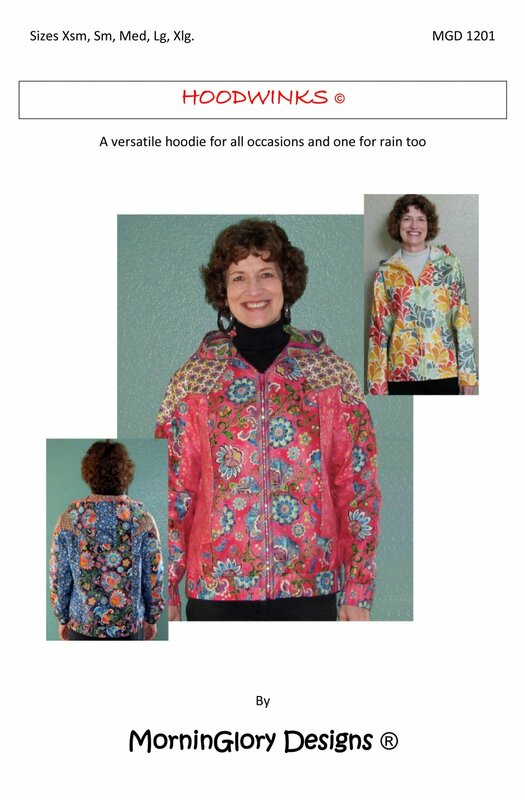 The jacket is designed for quilt-as-you-go construction and features elastic in the cuffs and bottom band. laminated fabric or oilcloth included.Use Pipin’ Hot Binding tool to make piping. Sizes Xsm -Xlg included MGD 1103 Requires intermediate sewing skills.